To be fully prepared for the eventualities of aging you should understand the ubiquity of dementia among our nation’s elders. Alzheimer’s disease is the leading cause of dementia. According to the Alzheimer’s Association, about 13 percent of those who have reached the age of 65 will contract Alzheimer’s disease. This in itself is a significant figure, but the likelihood of contracting the disease continues to rise as you get older. Over 40 percent of those who are at least 85 have Alzheimer’s. 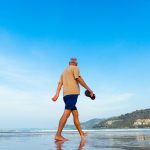 It should be noted that the segment of the population that is at least 85 years old is growing faster than any other group according to the United States Census Bureau. Many people who contract Alzheimer’s disease ultimately require nursing home care. Medicare does not pay for long-term care of this nature, because it is considered to be custodial care. How expensive is a stay in a nursing home these days? Genworth Financial puts the subject under the microscope each year. 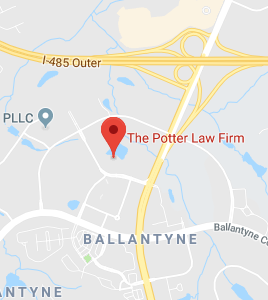 Our firm practices in North Carolina and Kentucky. The median cost for a year in a private room in a nursing home in North Carolina in 2013 was $82,125. In Kentucky the median annual cost for a private room was $80,300 in 2013. The average length of a nursing home stay is a bit over two years. Around 10 percent of nursing home residents remain in the facilities for at least five years. 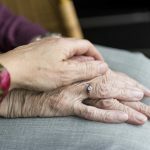 When you look at these statistics, you can see that some significant expenses can pile up if you were to require long-term care due to Alzheimer’s induced dementia. Medicaid is a government health insurance program that will pay for long-term care. However, it is a needs-based program. To be able to qualify for Medicaid, your assets and income must stay within certain prescribed limits. It is possible to plan ahead with future Medicaid eligibility in mind after you recognize early dementia symptoms. The sooner you get started the better, because there is a five year look back period. You are penalized and your eligibility is delayed if program evaluators find that you have given away assets within five years of applying for Medicaid. If you take the right steps in advance, you can keep a significant store of assets in the family as you aim toward future Medicaid eligibility. In this post we cited statistics provided by the Alzheimer’s Association. You can find a great deal of in-depth information about this disease on their website. There is a section of the site that is devoted to early signs and symptoms. If you would like to educate yourself so that you can recognize symptoms in yourself or a loved one, visit this page: Alzheimer’s Warning Signs.